I am an endorsed Clinical and Health Psychologist, and my main area of research interest is in optimising non-pharmacological treatment options for chronic pain. My program of research is primarily focused on implementing randomised controlled trials designed to evaluate the efficacy and mechanisms of cognitive-behavioural and mindfulness-based interventions for heterogeneous chronic pain conditions. My concurrent line of research aims to further our understanding of the experience of chronic pain via converging methodologies (including experimental pain paradigms and electroencephalogram), as well as advance our capacity to accurately assess its multidimensional nature. I have led the development, application, and evaluation of Mindfulness-Based Cognitive Therapy for chronic pain, and I disseminated this treatment approach for research and clinical use via my sole-authored book, published by Wiley in 2017. My US-based collaborators and I have a number of on-going NIH and foundation funded treatment trials underway at the University of Washington, Seattle. 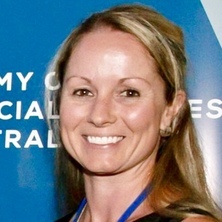 I am also the Director of Research at the Brisbane Pain and Rehabilitation Service (BPRS) where our interdisciplinary team generates practice-based evidence to inform evidence-based practice. Day, Melissa A. and Thorn, Beverly E. (2019). Group therapy for chronic pain. In Jane C. Ballantyne, Scott M. Fishman and James P. Rathmell (Ed. ), Bonica’s management of pain 5th ed. (pp. 1439-1469) Philadelphia, PA, United States: Wolfers Kluwer. Day, Melissa A. Mindfulness-based cognitive therapy for chronic pain: a clinical manual and guide. Chicester, United Kingdom: John Wiley & Sons, 2017. Day, Melissa (2017). Pain and its optimal management. In Health psychology in Australia (pp. 261-281) Cambridge, United Kingdom: Cambridge University Press. Day, Melissa A., Eyer, Joshua C. and Thorn, Beverly E. (2014). Therapeutic Relaxation. In Stefan G. Hofmann (Ed. ), The Wiley handbook of cognitive behavioral therapy. 1 (pp. 157-180) Chichester, W Sussex, England: Wiley-Blackwell. Pain catastrophizing, mindfulness and pain acceptance: what’s the difference? Is reduction in pain catastrophizing a therapeutic mechanism specific to cognitive behavioral therapy for chronic pain? Day, Melissa and Thorn, Beverly E. (2012). Mindfulness-Based Cognitive Therapy for the Treatment of Chronic Headache Pain: Preliminary Findings of a Randomized Controlled Trial. In: Annals of Behavioral Medicine. , , (S248-S248). .